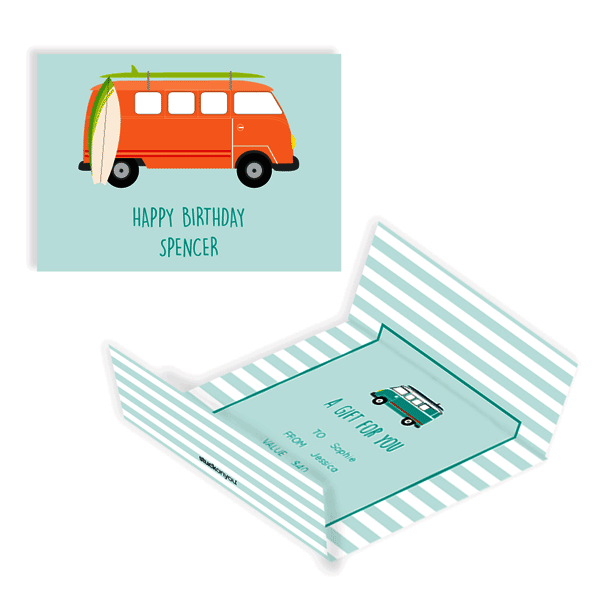 Pick your favourite design, then personalise the front with a short message, e.g. 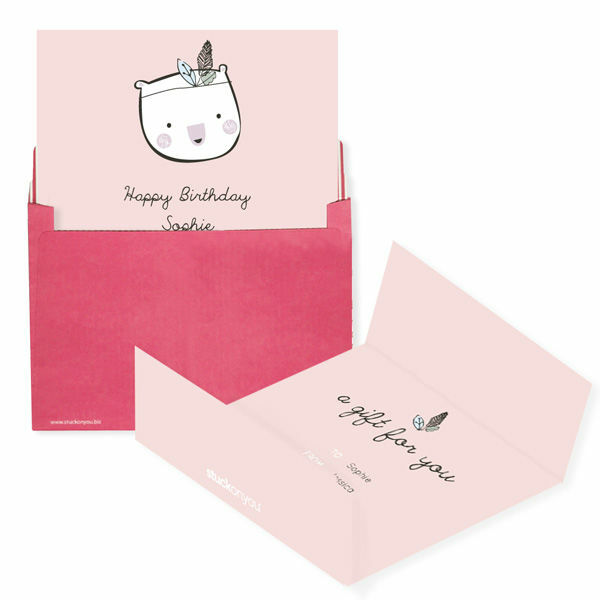 “Happy Birthday James”, “Congratulations Matt and Sarah” or “Welcome to the world baby Mia!” Next, fill out the relevant details and we’ll print them on the inside of the gift voucher (e.g. recipient’s name, sender’s name and dollar amount). Your completed gift voucher will be printed, folded, sealed and mailed out to you all ready to go. All that’s left is to hand over the voucher and watch the recipient’s face light up with happiness!